Texas Tech Physicians of El Paso was one of the many sponsors for the event, with a booth offering information and giveaways for attendees. The event launched with music and a fun breakfast conga line to get attendees ready for the day. It also included presentations of the Cutting Edge and Paradigm Awards. The Setting New Heights Award was presented to U.S. Rep. Veronica Escobar, D-El Paso, one of Texas’ first Latinas elected to Congress. The event featured five panels of women guest speakers discussing how they grew their business and personal skillsets. 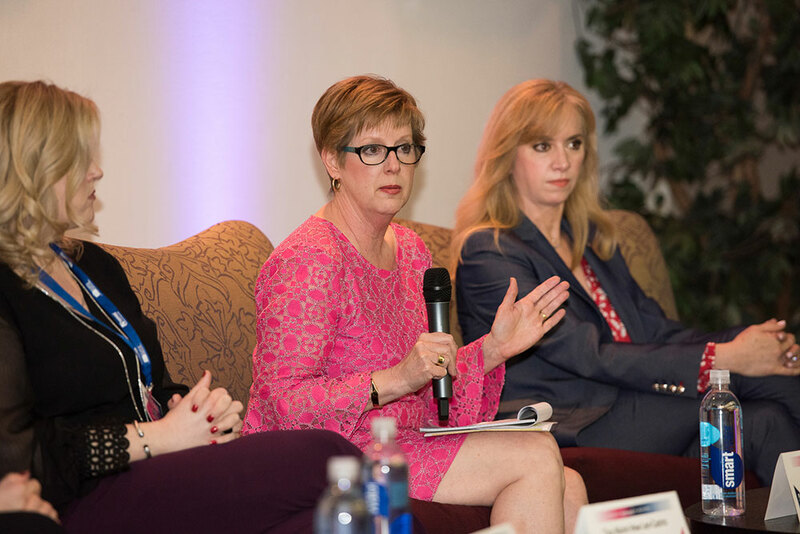 The Women in Healthcare panel featured Stephanie L. Woods, Ph.D., R.N, dean and professor of the Gayle Greve Hunt School of Nursing at Texas Tech University Health Sciences Center El Paso. The final panel, Women in Health Care, featured Stephanie L. Woods, Ph.D., R.N, dean of the Gayle Greve Hunt School of Nursing at Texas Tech University Health Sciences Center El Paso. Dr. Woods answered questions on personal success within her field and the impact she hopes to leave on the school of nursing. She also discussed the effect the school is having on El Paso’s health care community. Dr. Woods concluded the panel discussion by encouraging attendees to learn more about the nursing profession and to encourage anyone who is planning to attend college to pursue nursing in hopes of producing more nurses by 2030. Category: GGHSON · Tags: Gayle Greve Hunt School of Nursing, GGHSON, Stephanie Woods Ph.D. M.S.N.